Dallas, Fort Worth, Arlington Texas Foundation Repair – Company Contractors And Costs. 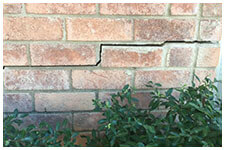 It’s best to enlist a company for foundation repair in Texas as soon as you notice damage. Dallas, Fort Worth, Arlington contractors, HD Foundations, can tell you about contractor costs and why they vary. It pays to prevent foundation problems. If you need a North Texas foundation repair company and you’re in Dallas, Fort Worth, Arlington or the DFW metroplex, contact HD Foundations. Why Enlist A Texas Foundation Repair Company? The primary reason to have a Texas contractor provide house leveling service is to stop costly foundation damage. The worse the situation gets, the more expensive it becomes to fix. Expansive clay soils and severe weather conditions can lead to foundation movement. 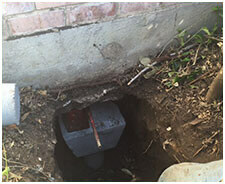 Learn when to have foundation repair service performed by a Texas company. Whether you’re in Fort Worth, Dallas or Arlington, it’s best to have a company fix your foundation when you see slab foundation cracks or discover that your pier and beam house isn’t level. Remember: Foundation repair contractors in Texas can help. Foundation setting causes severe structural damage. Cracks will become increasingly problematic over time. Foundation sloping or sinking can occur. Due to the expansive nature of clay soil, it’s often necessary to have foundation repair in North Texas. It prevents foundation heaving and settling. Whether you have a house with a slab foundation, or own a pier and beam structure, talk to a contractor about what foundation repair costs. You’ll find that in most Texas cities, including Fort Worth, Dallas and Arlington, contractor costs for repairing a foundation range from $2,500 – $10,000. While they do vary, the average cost a foundation company charges is approximately $3,500. Fact is, fixing a foundation in the state of Texas or anywhere else is not inexpensive. That includes concrete slabs and pier and beam foundations. Price depends on many different factors. To find out what it will cost to restore your house foundation, call a qualified contractor. If you need assistance in the DFW area, contact HD Foundations about repair service. Before you hire anyone to deal with foundation issues, secure estimates. 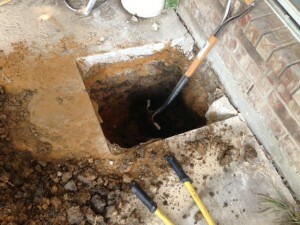 Informed contractors know all about foundation problems in North Texas. Foundation evaluations are generally performed free for homeowners. Because the soils can run very deep in the DFW metroplex, trouble often develops. In some cases (such as in Irving, TX), clay soils can be over 50 feet deep. That can lead to severe foundation damage. If you have concerns about your foundation and live in or around Arlington, Dallas or Fort Worth, Texas, schedule a free foundation repair estimate online today.